For one Sunday evening in September, an area of Acton’s NARA Park (North Acton Recreational Area) will be transformed into a Sri Lankan cultural haven. Come celebrate the 2nd Annual Sri Lanka Day with the Sri Lanka Association of New England (SLANE) and the Town of Acton. Last year’s festivities were a big hit, so the event has become an annual affair. Enjoy an early evening of native music, dance, food, and crafts. 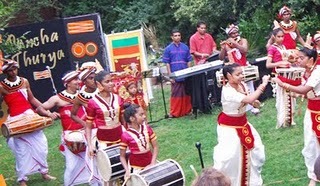 There will be an exhibition of popular and traditional dances accompanied by native music, featuring a Sri Lankan drum ensemble. Items for sale will include silver gemstone jewelry, native clothing and handicrafts, tea, and spices. Make sure you work up an appetite so that you can sample some of Sri Lanka’s native cuisine, which is known for its spiciness and distinctive flavor. Food vendors will be offering such tasty treats as seafood dishes, fast foods, curries, and biryani. Traditional Sri Lankan beverages will also be available. In addition, there will be special exhibits to explore and family style activities for all ages to enjoy. Many of the things that you will experience at this event are characteristic solely of Sri Lanka and are to be found in no other culture. The country’s name comes from the Persian word serendib which refers to the English serendipity. It is in this spirit that all the participants in this special event can count on at least one serendipitous experience before the night is over! Hmmm ….. that should make for quite an interesting evening. OK world music fans. I wanted to say a few words here about the featured ensemble for the evening. Pancha Thurya is a very well-respected group of Sri Lankan drummers from the local area. In fact the group is so large, that they are actually referred to as a “drum orchestra”. They represent an ancient performance art which has been in existence since 504 B.C. which maintains its unique sound as a result of the material from which the instruments are made and the playing techniques used to produce sounds from them. But what makes the ensemble itself even more special and notable is their knack for blending the music of other cultures with their own in order to produce a variety of original sounding world fusion genres, all of which are uniquely theirs. 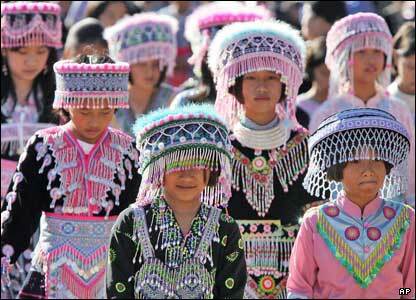 To them, this is a true representation of the beauty of cultural harmony. Quite frankly, I couldn’t agree with them more! It is truly a joy for the sponsors of Sri Lanka Day to be able to share the country’s unique and beautiful culture with the greater public. They have taken note of the wonderful atmosphere of learning this special evening provides for its participants from other cultures and hope to make this year’s event even bigger and better than last year’s.